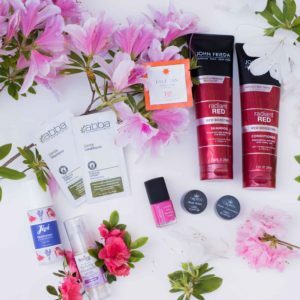 Besides our beautiful tresses, sensitive skin is another commonality that redheads often share. Because of this, it is essential to pay special attention to our skincare. Skin is, in fact, our largest organ and therefore a great indicator of our general health. 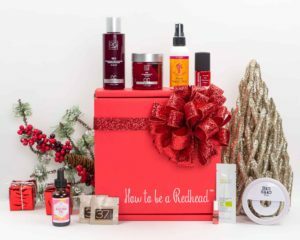 That being said, redness and acne can still present problems to us redheads, even when we are using our best practices. So, here are some life-saving tips I regularly use to reduce redness and calm irritation. 1. 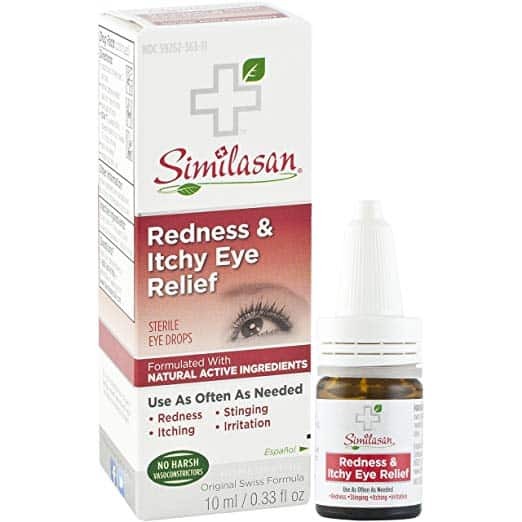 Redness relief eye drops for reducing skin redness and acne – Sounds crazy but I swear by this trick! Eye drops are excellent for getting rid of redness and angry looking pimples. Simply saturate a cotton swab with redness-reducing eye drops (any brand will do) and hold it lightly over the pimple or red spot for about 10 seconds. Similarly, gently rub the cotton swab over a patch of redness for the same result if needed. 2. 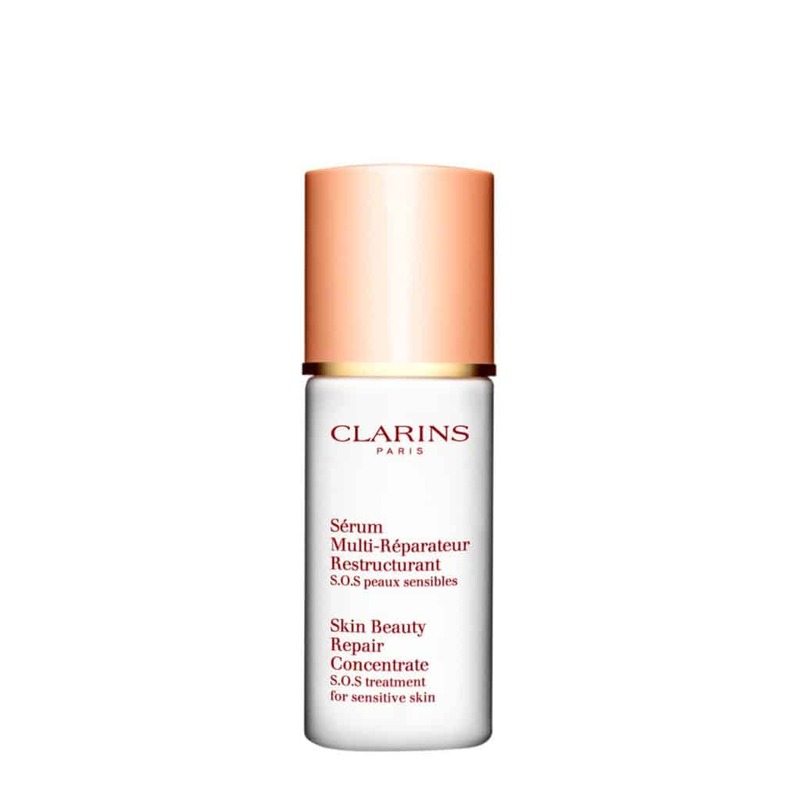 Clarins Skin Beauty Repair Concentrate (S.O.S. Treatment for Sensitive Skin) – As I write this, I’m actually recovering from an allergic reaction. After using this serum, I immediately felt relief from the painful, itchy rash on my face. This serum is seriously like having a secret weapon in your skincare arsenal. Comprised of over 90% pure plant extracts from ingredients like coconut, licorice, and sunflower, this powerful product instantly calms and soothes irritated skin. 3. Green Concealer for Reducing Redness – I know this one sounds a little weird, but just trust me. Red and green are opposites on the color spectrum, therefore canceling each other out. 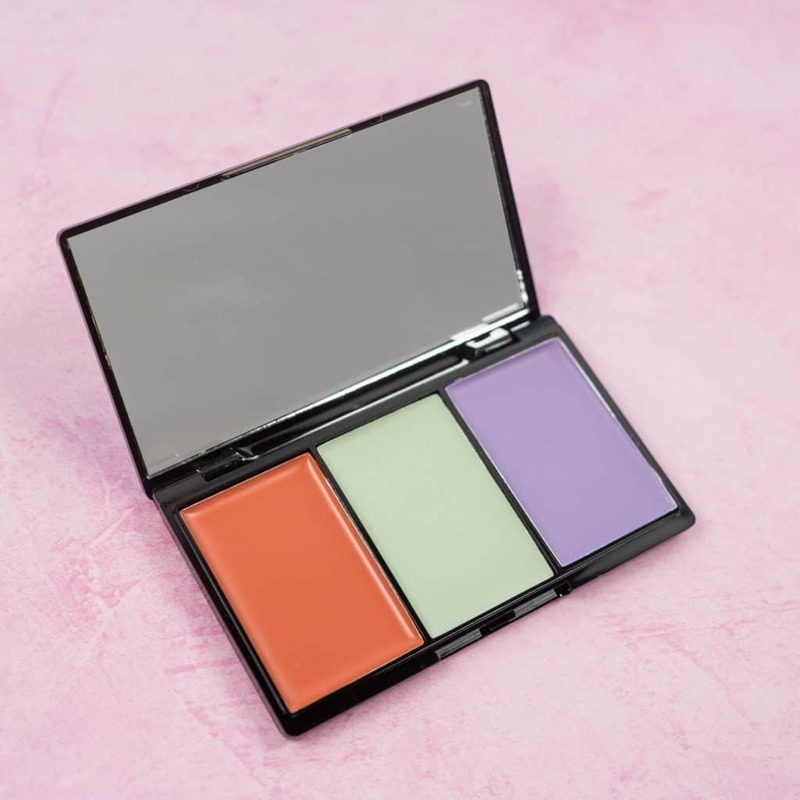 To get the benefits of a green concealer (available at any drugstore or Target — and featured in a few H2BAR Boxes, including the April 2019 H2BAR Box), apply a light layer of the product over the affected area and lightly blend with clean fingertips or a makeup brush. Then, apply and blend your favorite concealer over the spot to completely hide the acne or redness. Voila, flawless complexion achieved! Bonus Tip: If you ever suffer from sunburn, wearing green clothing will reduce the visual appearance of the redness. 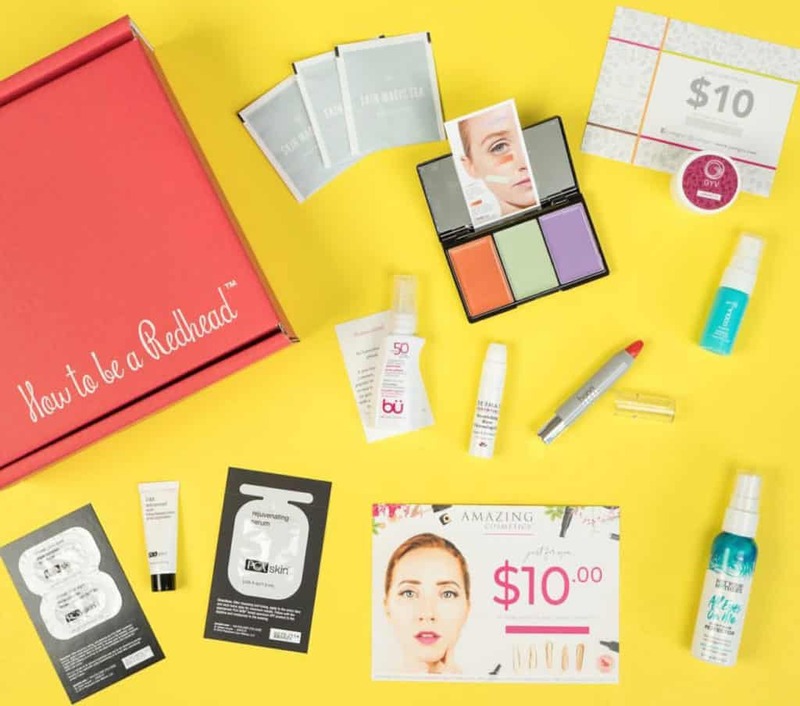 Subscribe to the H2BAR Box: A monthly subscription beauty box for redheads! Use code: REDHAIR for 15% off. Subscribe now!